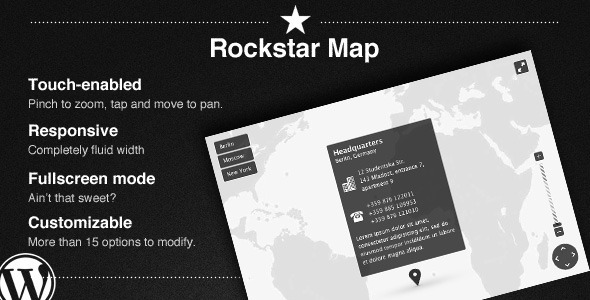 Rockstar Map is a WordPress plugin for displaying an interactive map with locations, navigation and more. 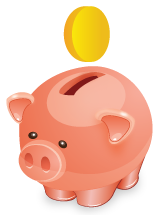 It�s perfect for any Contacts page and it�s super easy to setup and use. It has features like fullscreen mode, smooth animations, inertia, fluid width, touch gestures and a beautiful interface that is visible and reads well with any image in the background.